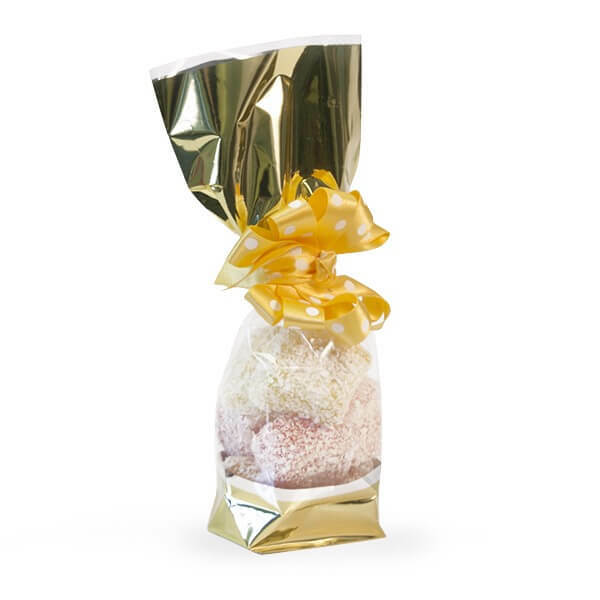 Our range of Patterned Block Bottom Polypropylene bags are a great alternative to our Cellophane Bags. 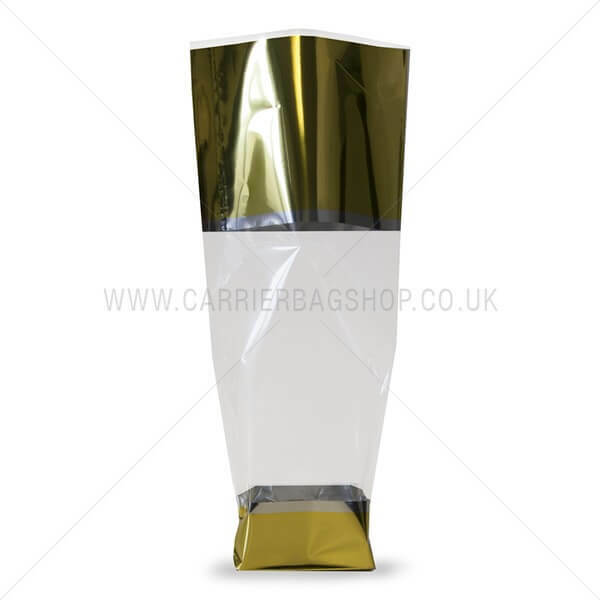 This bag with a Gold Top design is made from strong polypropylene. These are a great packaging idea this Christmas to hold treats in, perhaps for a dinner party to treat your guest. 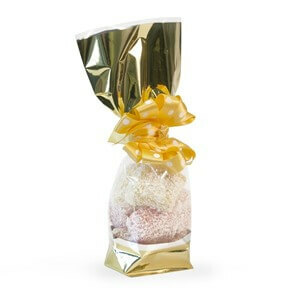 These bags are perfect for displaying food items, such as sweets and biscuits. Dimensions: Width x Length + Bottom Gusset. Made from 35mu polypropylene material. Features a silver card base so that bags are able to stand when filled. The silver side shows through the base of the bag. Food safe and ideal for many other uses. Please note ribbons are not included with this product but can be purchased from the site. Ideal for those looking for a stylish way to package and display food items. Also suitable for packaging gift items.